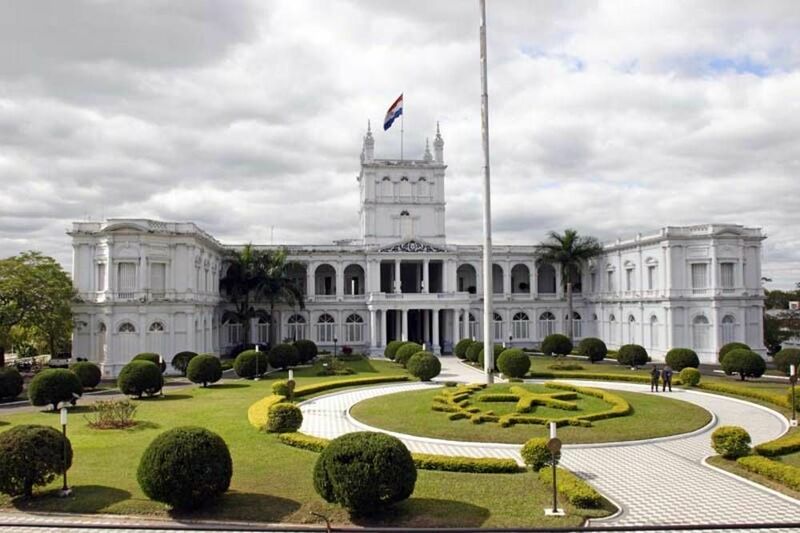 The hot and humid capital of Paraguay is a young city – 65% of Asunción’s residents are under 30 years old. This demographic is reflected in the city’s booming modern nightlife scene and metropolitan shopping malls – particularly in the Carmelitas area, which has many shopping malls, bars and restaurants which would not look out of place in North America. If you are visiting in July there is a trade fair which you should visit to learn more about the country. There will be free samples of all sorts of consumable products to try. The Jardín Botánico gardens are about 6km from the centre. 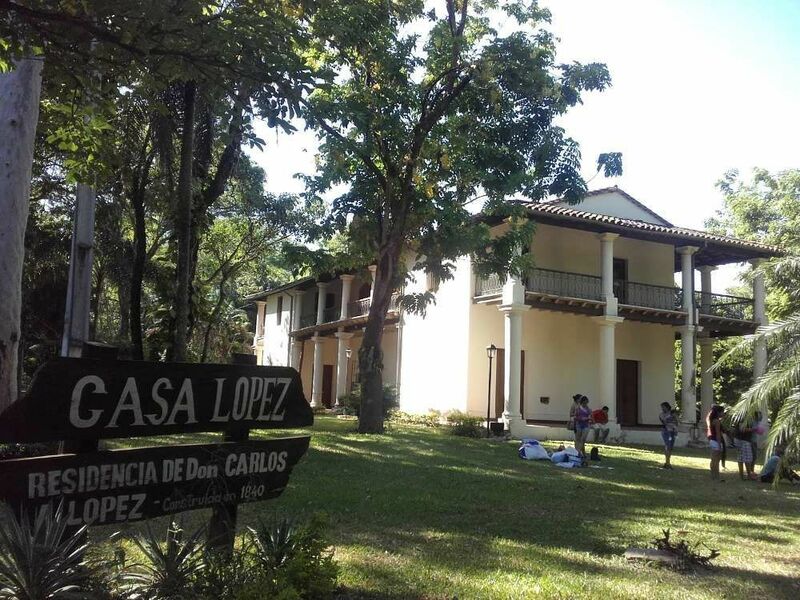 And old estate of the López dynasty has been converted to house a small zoo and nature reserve, a natural history museum and the Museo Indigenista. If museums are your thing, don’t miss the opportunity to check out Museo del Barro. It has everything from indigenous crafts to political caricatures. You can get bus number 30 from Oliva, but if you miss the Shopping del Sol stop, fear not as you will go by Parque Ñu Guazú, its lakes and walking trails provide a lovely relaxing afternoon walk. One of the first trains to run on the first ever train line in South America is on display at the old station Estación Ferrocarril, and the remains of major players in Paraguay’s wars are under military guard in the Panteón de los Héroes in Plaza de los Héroes, the centre of activity in the city. The huge palace Palacio López, which once carried the death penalty for simply looking at it, is now the seat of government and safe for wandering eyes. The previous centre of government, Cabildo, is now a cultural hub hosting events and exhibitions by the city’s creatives and intellectuals. Why not take a guided stroll round Asunción? It’s the best way to view the best parts of the city, and the examples here are free, leaving you more money to sample the local’s fine cuisine! Explore Asunción’s historic centre with a knowledgeable local guide. Find out about the customs and culture of the city as you marvel at the beautiful architecture of the capital. Airotours guarantee a maximum group of 20, so you will always be able to hear your guide! The tour lasts about 2 hours. It passes the cathedral and the Casa de la Independencia amongst many others, and the guide has many local recommendations saved strictly for tour participants! Please note: Though this tour is free, it requires a fee of €2.50 when booking to cover the administrative costs of the booking system. Booking is also mandatory to ensure your place in the low group numbers. This tour is self-guided, so there are no scheduling restrictions and you can stop for refreshments whenever you like! The 2.3km route should take around 2 hours and passes 9 of the most important architectural of the city. Starting at the river terminal Puerto de Asunción, the route passes south-westerly through the city, ending at Plaza Uruguaya, a park which also offers a covered market selling Latin American literature. This tour’s route can be downloaded for use offline via the ‘GPSmyCity: Walks and Articles with Offline Maps’ app. This self-guided tour takes you to 5 of the best shops and markets in the city. The 5.1km route should take around 2 hours, but is likely to last much longer including browsing time. It begins at Plaza de los Héroes, with its beautiful water garden and fantastic shops selling traditional merchandise, and ends at Ao P’oí Raity, purveyor of lace items and handicrafts. The route can also be downloaded for use offline via the ‘GPSmyCity: Walks and Articles with Offline Maps’ app. Are you from Asunción and want to be a tour guide? Please get in touch by submitting your details on this page!